Miss Katherine Magnall is employed by Wirral Special Schools Collaborative and provides impartial, independent careers advice and guidance to pupils at Clare Mount Specialist Sports College. Mrs Linda Evans is the Lead Teacher for Careers and both can be contacted via the school office. Turn up on time without being reminded, prioritise time and plan ahead. Careers education, information, advice and guidance (CEIAG) is available to all students from Year 7 through to Year 14. A careers programme of study is delivered through our Life-skills and PSHE/PSD lessons which is supported by form time activities and numerous opportunities for business, college and community exposure, visits, activities, experiences, assemblies, discussions and placements. All of the first term of Life Skills (3 lessons per week) is laying the foundation of Careers Education. In Yr7 students will be encouraged to reflect on their recent transition and how they have used key skills to succeed. They are also encouraged to think about what careers are available and how people achieve those careers. They will be able to identify their own skills and qualities and link these to the skills that employers find important. There will also be visits to class by members of staff who will discuss their careers with the students. In the Autumn Term, a Careers Module is taught once a week. In Yr8 students will have the opportunity to look at different career paths and activities are completed to investigate the previous careers of some celebrities. The concept of employability skills will be developed and students will think about which skills they need to develop to be successful. There will also be sessions on equality and diversity to help students challenge common misconceptions about gender and employment. Again in Year 9 there is a module of lessons specifically on Careers and also the other Life Skills lessons further our students’ vocational skills and knowledge: Equal opportunities; Rules & Laws; Citizenship; UNRC; Healthy Lifestyles; Keeping safe in the Community; Money matters and First Aid. Students’ interests and skills are also discussed in regard to choosing options for KS4. In Yr9 students will be encouraged to think about their own career pathway and they will spend some time researching jobs using JED (Job Explorer Database) and finding out about the salary available and the qualifications needed. Local job market information will be provided during students’ Careers Advice Interview to help students identify where potential future employment opportunities may exist. Students will then use this information to make informed choices for the transition from key stage 3 to key stage 4. There are two PSHCE lessons in Year 10 and one PSHE lesson in Year 11 per week. These include at least a full term of specific Careers lessons along with further lessons on Citizenship / Values; Keeping Healthy; Keeping Safe; Well-being and developing appropriate relationships. Each Careers lesson and all Life Skills & PSHCE lessons are designed specifically to meet the needs of the individuals within a class and therefore the programme of study is a personalised pathway. In Yr10 & Yr11 students will look at the pathways available to them after their key stage 4 education, exploring apprenticeships, college courses and employment opportunities. Students have the opportunity to attend Next Steps events and participate in a week’s work experience. They also produce a C.V., a Personal Statement and a Career Plan for their Progress File, following a Careers Interview with the Careers Advisor, to help them prepare for their future choices. In our 6th Form, all students have the opportunity to attend work experience with a local employer at least once a week, every week. This provides invaluable employability skills in the working world. Upon completion of an Individual Transition Plan (ITP) a curriculum is created for each student in order to focus on their targets and increase independence. Please see below to access links to key websites offering a wealth of information, advice and guidance for our students, parents and guardians. Click the logos for more information from the organisation's website. Clare Mount is a member of the Youth Chamber and works in partnership offering advice, support and career guidance throughout the year and bridging the gap between education and the working world to life. 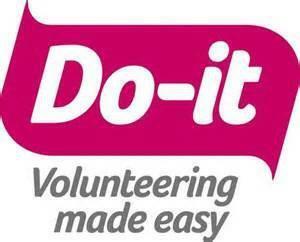 Thinking of doing some volunteering work to gain valuable experience and give back to your community. Go onto this website and search what is available. Not sure what or where to study this site offers a search facility for you to find full-time, part-time, short courses in sixth form, college or as an undergraduate. Search is based on subject, course type and location. Career Connect is a charity, delivering careers information, advice and guidance services across the northwest. The Government website that offers advice and information and guidance on apprenticeships and traineeships for teachers, employers, parents and students. Job Explorer Database (JED) is used at Clare Mount and has information on 845 jobs (over 2300 career titles) presented in a clear and lively way that students of all abilities can understand. This site is a free library of films, news and information all about careers. NCS is a four-phase programme specifically designed to provide young people with all sorts of new experiences. Whether they are a daredevil or creative genius, talkative or more reserved, they will be surprised by how much they are actually capable of, coming away with a host of new skills and bags of confidence. This website provides information on traineeship courses and beyond.